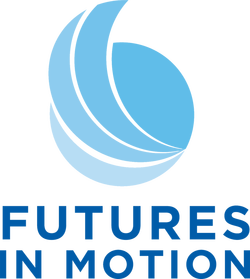 Markell R. Morris- This is my story - Futures in Motion, Inc.
I’ve always been someone with a clear vision for my future with goals and action steps outlined in detail. For years this worked for me, and everything fell into place just as I had planned. Several years ago my life changed in ways I never could have imagined or planned for. One day, I became unexpectedly unemployed with no prospects and no savings. That same month, I reconnected with an old friend, and much to my surprise, I met the love of my life. We were married by the end of the year. Then, the following year, he died unexpectedly, and I became a young widow. As I was picking up the pieces of my broken life and shattered dreams, a routine eye exam led to a brain tumor diagnosis. All of this and more happened within a 2 year time frame- one thing after another. My life was unrecognizable. I was dazed, confused and felt hopeless. That was the darkest season of my life. I had no hope. Joy was fleeting. I saw no bright future. Through my work as a career counselor and volunteer for various community organizations, I had seen first-hand where hopelessness could take a person- alcohol, drugs and depression. I didn’t want that to be part of my story, too. It was already bad enough. So, I had to figure out how to dig myself out of the pit of despair. I wanted a fresh start but didn’t know where to begin. For the first time in years, the vision for my future was blurry. I had no goals or plans. I was just existing. Over time, I got stronger and hope began to ignite. At first it was just a flicker, and that was enough to keep me going. When I was in that dark season, I didn’t think it would ever end. I didn’t think I could be at peace again, let alone find hope, joy or a sense of purpose. I felt alone in my experiences even though in my rational mind I knew that everyone faces loss and personal challenges in life. I started studying other people who had experienced adversity and come out the other side with hope, determination and a sense of purpose. I learned that the hard things we face often lead to our purpose. Hearing how other people walked through adversity activated my hope. I began to see that life can get better. While I wouldn’t want to go through any of those experiences again, I’m a better person because of that dark season. I’m more compassionate, creative and determined. I have a renewed sense of purpose. I learned a lot: There are no rainbows without out rain. There is no hope without despair. There is no joy without sadness. There is no strength without weakness. There is no courage without fear. I know the frustration of trying to find hope and purpose. I shared my story of facing adversity and finding new hope and purpose to encourage you to take steps toward reclaiming your future.